WHAT IS IT? 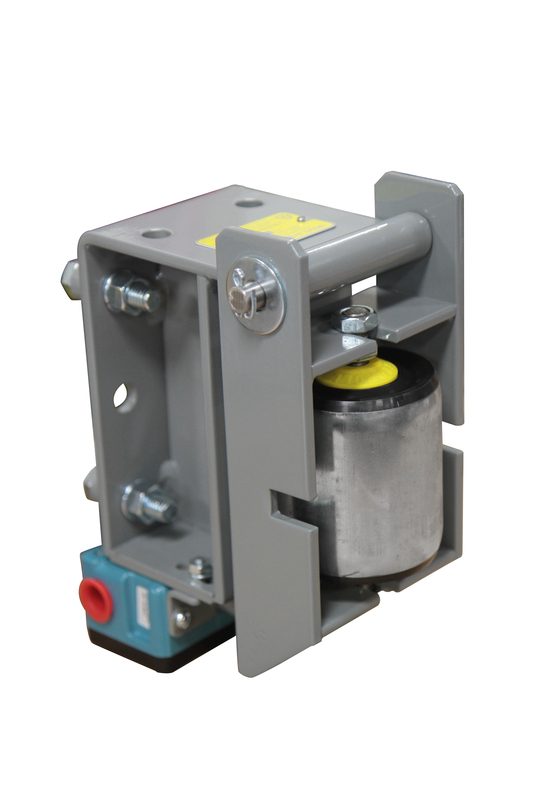 The Model BA is a heavy-duty conveyor belt mis-alignment switch that either provides an indication or a shut off of the conveyor during a drift condition in order to prevent further damage to the conveyor belt. The output contacts of the Model BA can control up to two separate circuits, one for conveyor shutdown and one for an alarm. WHY IS IT NECESSARY? The model BA is relatively inexpensive protection that provides benefit by saving the time, money, and labor associated with replacing a damaged conveyor belt. Typical cardboard shipping carton measures 27" x 10" x 9" each. The housing is grey polyester powder coated heavy welded steel assembly providing long life. Rugged 3-1/8" diameter roller with enclosed S.S. ball bearings. The unit is mounted on the conveyor by drilling (6) 9/16" diameter holes. General purpose (weatherproof) units have (1) 1/2" NPS conduit opening. Refer to individual instrument data sheets for electrical contact ratings. An optional breakaway mounting is available, as well as a breakaway mounting with its own independent microswitch. The operating temperature range is -40ºF to 150ºF (-40ºC to 65ºC). The general-purpose microswitches are rated NEMA Type 4/5 weatherproof and dust-tight, and explosionproof microswitches are rated NEMA Type 7/9 for dust ignitionproof and vapor explosion proof.